A collection of short fiction from Susan Sontag, the National Book Award-winning author of In America and Against Interpretation, and the renowned essayist praised as “one of our very few brand-name intellectuals” (The Yale Review). 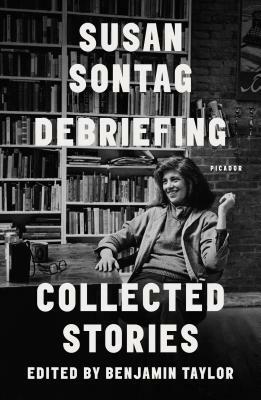 An invaluable record of the creative output of one of the most inquisitive and analytical thinkers of the twentieth century at the height of her power, Debriefing collects all of Susan Sontag’s shorter fiction, a form she turned to intermittently throughout her writing life. Ranging from allegory to parable to autobiography, these stories show Sontag wrestling with problems beyond the essayistic form, her more customary mode. Here, she catches fragments of life on the fly, dramatizes her private griefs and fears, and lets characters take her where they will. The result is a collection of remarkable brilliance, versatility, and charm. Sontag’s work has typically required time for people to catch up to it. These challenging works of literary art—made more urgent by the passage of years—await a new generation of readers. Susan Sontag was the author of four novels, including In America, which won the 2000 National Book Award for Fiction; a collection of stories; several plays; and seven works of nonfiction. She died in New York City on December 28, 2004.